Through hundreds of full-color photos – dynamically edited and accompanied by narrative – this multimedia DVD offers a tantalizing tour through a one-of-a-kind locale that is both timeless and contemporary. Visit Saratoga State Park, with its therapeutic mineral baths and Performing Arts Center; historic Congress Park; Saratoga Lake; and the Yaddo artists’ retreat. Revel in a day of racing at Saratoga Race Course, the oldest continuously operating Thoroughbred track in North America, along with a side trip to the National Museum of Racing and Hall of Fame. View Magnificently restored Victorian homes lining wide, leafy avenues en route to downtown’s lively arts, dining, and shopping scene. 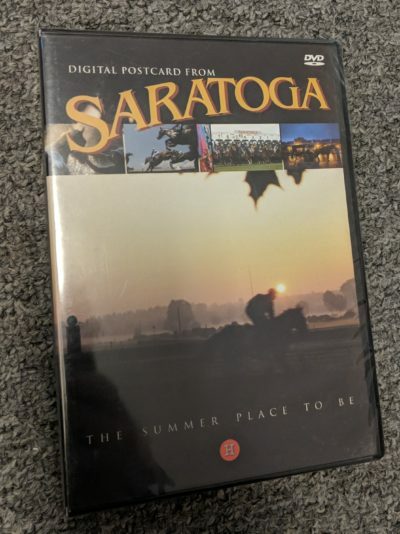 Reflecting the beauty and spirit of a very special place, this Digital Postcard is a must-have memento for every Saratoga visitor.